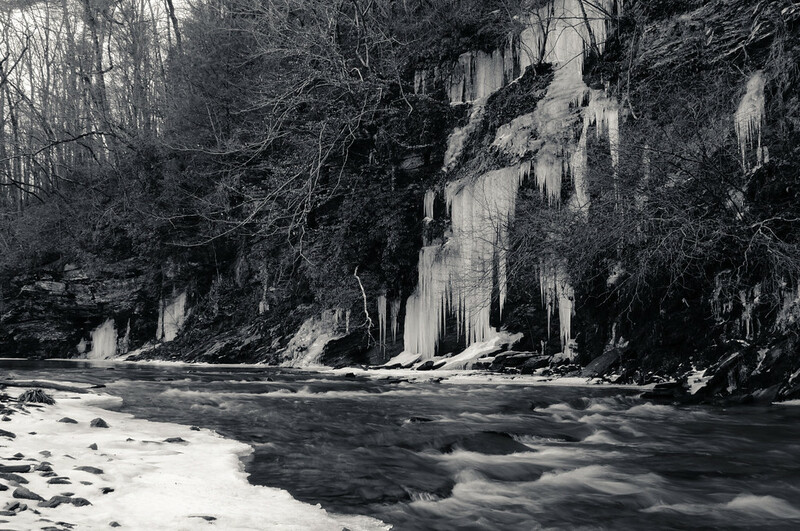 The Frozen Waterfall | Just Shooting Memories! I found this little gem of a waterfall along Salacoa Creek. There is no real waterfall here, just a lot of water draining off the cliffs. However, with the blisteringly cold weather we had this winter, it made some pretty good ice falls. I took my youngest along to this one. She thought it was great, but too cold. You could feel the decrease in temperature as you got closer to the ice.